It's been a while since a BZ-Nuian browsed my wares. Please, come inside and take a look around. Many of our products are brand new, unique designs, but if they don't satisfy you, you can always commission your own to be forged. Here we have some examples of our high quality Kanohi which you can examine by clicking their photos. 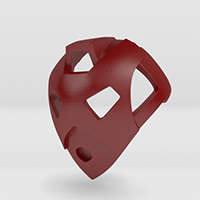 The link below each leads to the Shapeways store where you can purchase one for yourself. Be sure to check back, as we're always working on new designs! Edited by Click, Feb 01 2018 - 07:09 PM. There is definitely some amazing 3d craftsmanship that's gone into each and every one of these masks. I must commend you on your mastery of 3d sculpting such fantastic masks, both canon and non-canon. Knowing that you've crafted some of them from drawings, I say you're definitely on a level I could only ever dream of. I hope you continue making these. Oh, I will. I just got three new masks up. 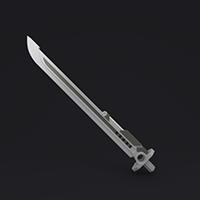 And just like that you've become one of my first shapeways purchases. Amazing work! Wow, these are nice. I like the mix of existing masks, canon masks with no canon appearance, and crossovers with other stuff (that Savitar mask in particular fits the Bionicle style really well). Well done! All of these look beautiful. 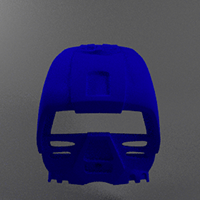 A thought for a future project: crafting an Autobot and a Decepticon mask (the symbols in mask form). You can attract the Transformer fans as well. "Honor those the dragons heed, in thought and favor, word and deed"
"Worlds are lost and worlds are saved, from those dangers dragons brave"
They all look pretty cool. 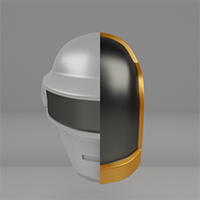 Especially the Daft Punk helmets! And the Hau redesign. 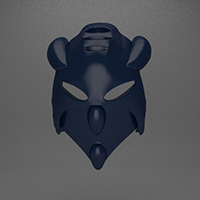 Would it be possible to model the masks from the movies? Oh wow, a feature! 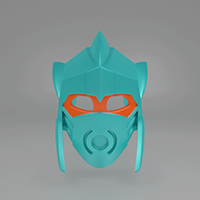 Thanks everyone, I've got plenty more masks in store! And I thought I'd take this opportunity to mention that the incredible Modalt Masks and I will soon be teaming up to provide you with not only the best custom masks, but also the best painting in the business! Be sure to follow them or me to get the latest updates on when exactly that will take place. Awesome, thanks so much guys! Every order helps me so much. 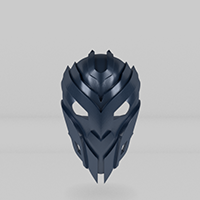 Would it be possible to model the masks from the movies? I do take commissions if you guys really are interested in seeing these. 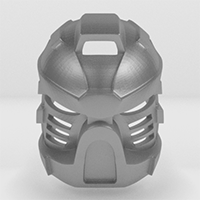 I do know however that Takanuva and Teridax have their masks on Shapeways already. 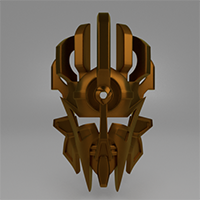 You should try to make a Mask of Ultimate Power based on the images of the G2 Makuta titan builds, since the original guy who said he was going to seems to have dropped the ball on that. My friend, it's been done. Many times. None of those resemble the one seen in the pictures I’m talking about to the degree that I’m talking about. I'm not sure what you're looking for then, because at least those made by Cyber Hand are done pretty exactly to the photos we were given. Would you be willing to give Stuart Sayger's masks a try? 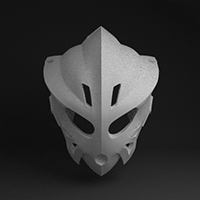 By that, I mean the various masks he drew for the Matoran and other characters for the comic he drew. Several of these have been made already, primarily by "Masks for All," but there are also Masks of Sensory Aptitude, Rebounding, and Conjuring by others. I've done a bit of work on Undeath and Incomprehension in the past, but neither of them are ready to print. I do intend to give Conjuring a try sometime as well. If there's any particular ones you need that are missing from that list, you could commission me. I'll pass, but I have other ideas. Perhaps you'd like to take a swing at doing variants of Rahkshi spines, as well as different colors of the heads and Kraata shell. I'm sure MOCers would appreciate you for it. I'm sure they would, as I've seen a lot of projects done to recreate all 42 Rahkshi (plus Cezium and his dang teal prototypes), and as a Corpus Rahkshi player myself I would like to see them. However, I really can't take suggestions. Not only is my time occupied with other commissions that I'm actually getting paid for, but I have my own designs I'd like to create, and you would not believe how many people ask me for similar things. As a fellow artist once said, "A commission is you paying me to do what you want rather than what I want." 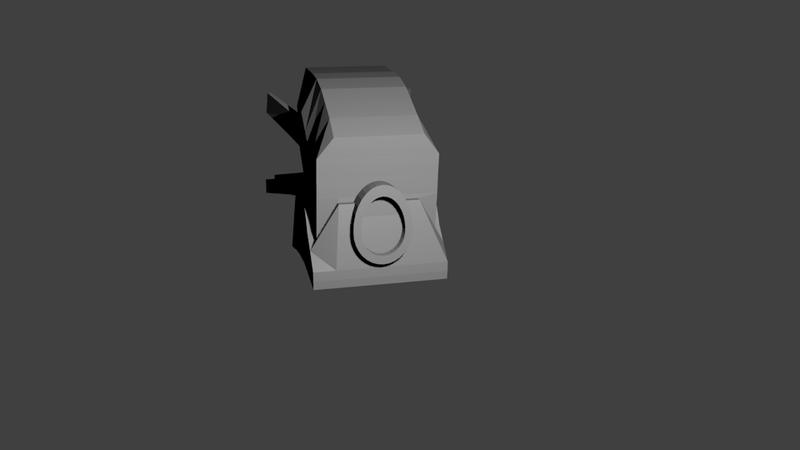 So I'm afraid if you want to see those, you'd have to commission me or another modeler. 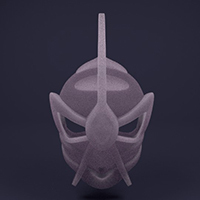 If I may ask, do you use Tolkien's Matoran Dictionary for the names of your own original masks? I'm just curious because I would. Though I am a huge fan of the Matoran Dictionary, none of these names actually came from there. 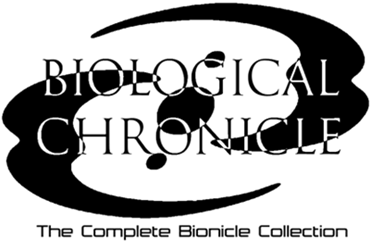 Most were from the commissioner, and the ones I made were predating my discovery of the Matoran Dictionary. I should run them through it though. Also, three new designs guys, including the Kihore that I'm extremely proud of and a new weapon design! EDIT: Well look what you made me do. Edited by Click, Oct 25 2017 - 11:45 PM. I would never tell an artist what to make, and I've conmissiond many an artist before. Only asking questions that the answers may help others in the future. Anyone got pictures of a mask they ordered being worn by a figure? Okay, sorry. I just get a lot of "I don't have money, but I still really, really want you to make this for me!" and it does get kind of grating. I did share your suggestion with a few of my modeling friends though, so maybe it will happen sometime. It just so happens I do. You'll find most of my designs in there, but there's also some others I recommend, like LordSaga's Mask of Mutation, MaskJacker's Pakoire, sethghost12's Alvasa (not on a figure, unfortunately), LegoMetal's Savitar, and NewDrewBuilder's Hau. 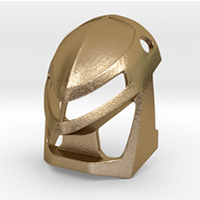 I think that covers all the masks that I've seen printed so far. Hmmmm.... a mask of mutation sounds like it would be ideal for Mutran. And that mask of Avarice is AMAZING. Perfect for some giant titan. I'm currently working on revamps of the 2008 Toa and Makuta, and one of the big challenges is the Mistika. 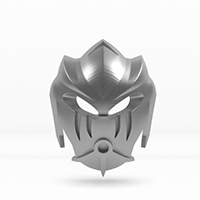 With Tahu, I'm wondering if it'd be better to use his 08 mask or this shapeways one. 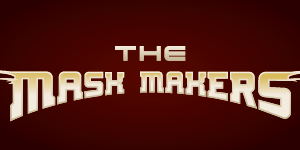 I'm also wondering if it'd be better to dye the dark red pieces bright red, or dye the custom mask dark red. The Mask of Mutation was actually Miserix's mask, because it would be too obvious to make it Mutran's. Seriously, that's the actual reason. I actually just put together a Tahu revamp that made use of the '16 mask and bright red, but that's just my preference. 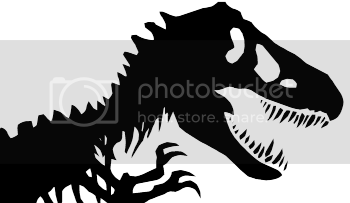 I'm just asking because it seems like it'd be easy to turn it into a MNOG-style Miru... but then again I know nothing about 3D models or 3D printing. Not too difficult, I think. It would just take a little bit of lining up the vertices again after I had moved them around to provide enough material there. I never thought of those as holes though, just... paint, I guess. Well guys, it's about time to update the shop with some of my latest creations, and there's some good ones. Another commission for Llortor first, Yotun's Aegir blade. 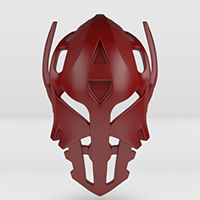 Second, possibly the most recognizable mask on Deviantart, Toa Kalikiki's Mask of Binding. 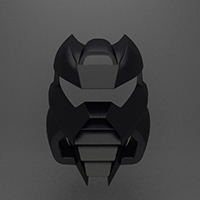 And last of all, the big one, the G1 Mask of Creation itself, taking some cues from the G2 version. 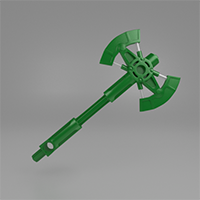 Unfortunately it's not quite available on Shapeways yet, but it will be, and I'll let you guys know when that will be. 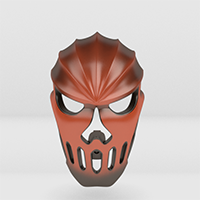 Hope you guys enjoy, and let me know if you want a mask for yourself! 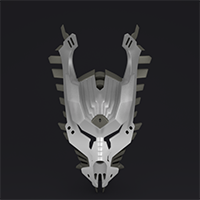 Little plug for my friend, but for Brappy the 42 Rahkshi spines have now been created by my good friend vahki6. Be sure to check those out! Edited by Click, Feb 01 2018 - 10:37 PM.